We are less than a month away from the release of “Solo: A Star Wars Story”, one of moviegoers’ most-anticipated films of 2018. 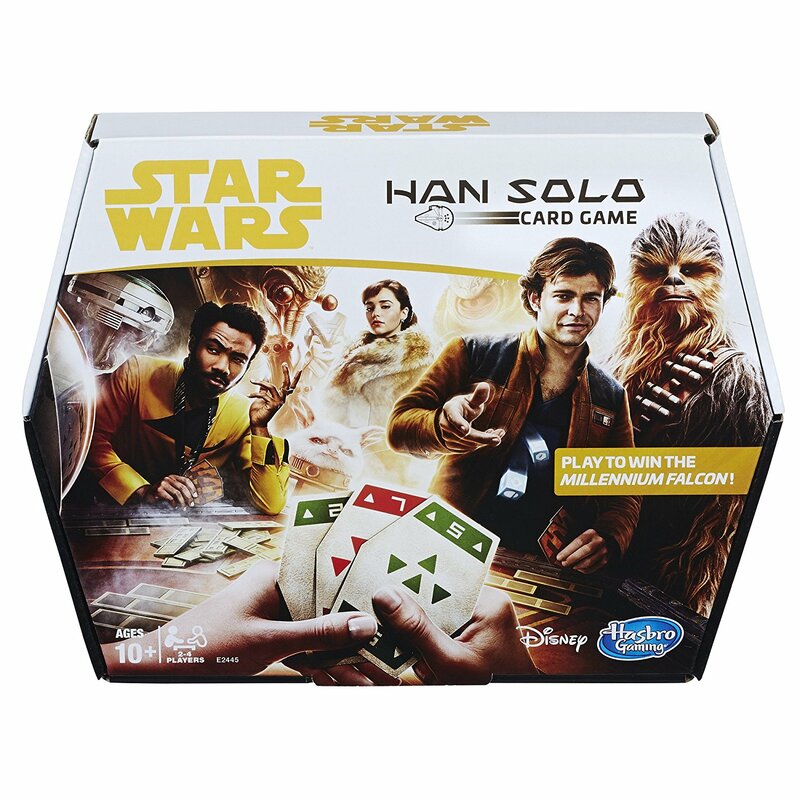 If you are a big fan of Star Wars, you have probably stocked up various merchandise like mugs, figures, and apparels, but have you gotten your hands on Han Solo Card Game? This exciting Han Solo Card Game is inspired by the iconic card game from the Star Wars universe! Players add or swap cards, trying to get the best hand so they can collect and add up bounty tokens for the win. Players must take some risks. They might lose, but they could also end up with the game’s important Millennium Falcon cardboard token. Priced at USD $19.99, you can get the card set from Amazon. How about gathering your fellow Star-Wars-loving friends for a night of card game and movie marathon? Amazon offers free US shipping for orders above USD $25, so sign up with us to take advantage of that!